Understandably, we continue to see caution amongst property buyers in London, who tend to be reluctant to commit to a purchase at the moment, instead holding back, awaiting a final decision on the way forward with Brexit. However, enquiries are continuing to come in steadily and we have been starting to see more buyers submitting offers over the last month. Domestic buyers continue to show interest as do overseas investors, particularly from Shanghai, Hong Kong, Singapore and Kuala Lumpur. And while demand is generally more subdued than usual, there are still many owner-occupiers who are keen to move for their own personal reasons and are therefore unable to wait indefinitely until the political situation is resolved – this could be to move home because they are starting a new job or to find a larger property, perhaps if they are starting a family. There is more movement in this section of the market and we are seeing offers being agreed on a broad mix of property types at all price points. But there are two key points to consider. For those wishing to sell their home at the moment, marketing your property at a realistic price is essential. Anyone buying a property right now will have done their research and know what different types of property should be selling for. The market is price driven so there is simply no point in ‘testing’ the market by inflating the asking price to see if it will sell – it won’t. We always advise sellers on the importance of presentation and this is even more crucial in a challenging market. This applies whether you are selling a property in a development or an older, period property. With most buyers initially looking online for a property, first impressions really matter and if a property doesn’t immediately present well online, buyers simply won’t book a viewing. So homestaging should be a priority in order to attract interest on property portals and websites. Here are a few basic guidelines to help you present your property effectively. Apartments should of course, be neat and tidy, with no clutter. If you have too much furniture, books, children’s toys or other belongings, put them in storage. Fix any fixtures or fittings that are broken, chipped or cracked. Mend leaking taps and remove mould in bathrooms etc. Redecorate if necessary to create a calm, neutral interior with maybe just a hint of colour here and there. Clean the property thoroughly, inside and out. Dress the property with a few finishing touches – fresh flowers, maybe a few new accessories – such as new lamps, bright cushions or throws. If you are planning to sell your property but don’t have time to redecorate, you could consider using a homestaging specialist to do this for you and help you maximise its potential. 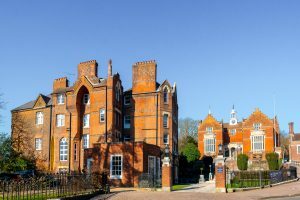 Harrow is an area well known for its public school but until recently it has not been on the radar for buyers and investors not already familiar with this part of North West London. 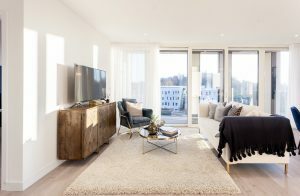 But with well-known developers now moving into the area this is changing and many young people and families in particular are being drawn by its affordable homes, good amenities and easy commute into central London which is only 30 minutes away. 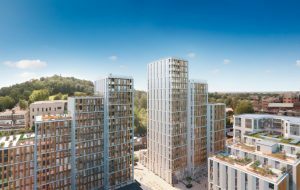 Harrow Square is one of the new developments close to Harrow on the Hill tube station that is attracting a lot of interest. Built around a central square, it has one, two and three bed homes available priced between £349,000 and £699,000. Also new in the area is Harrow View West – a development of 460 homes currently being built on the site of the former Kodak factory. Prices will start at £299,999 so again offer excellent value for money as well as a high spec. If you are planning to buy or sell a property soon, please contact our London Sales office.